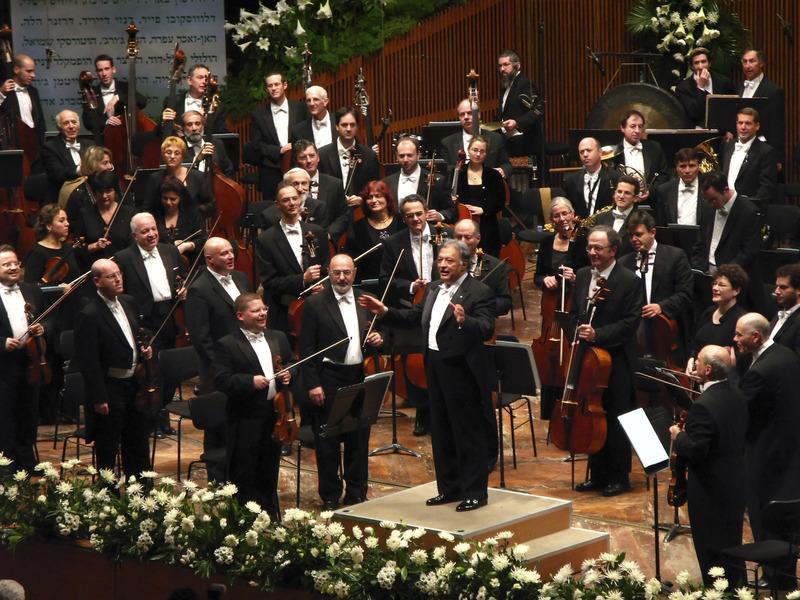 Adversity brings out the best in the Israel Philharmonic – J.
Cannons roared and rifle shots rang out when the Israel Philharmonic Orchestra participated in the earliest hours of the new state of Israel in May 1948. It wasn't a celebratory show of fireworks by the Israelis; it was an all-out attack on the Jewish nation by Arab armies. On the morning of May 14, the orchestra was playing "Hatikvah" and David Ben-Gurion was reading the proclamation of independence. By nightfall, Israelis were dodging bullets and bombs. What was happening to the nation also involved the orchestra. And, throughout the 50 years since then, the Israel Philharmonic has been involved with the nation's military and diplomatic life to an extent unheard of in any other country. Cannon shots were landing nearby a few weeks later when Leonard Bernstein led the Israel Philharmonic in an open-air concert for 5,000 troops in the desert near Beersheva. During the War for Independence, the philharmonic regularly played at army bases close to the fighting front. Bernstein, virtually unknown at the time, was an inspiration to the orchestra. At another concert that year, in Rehovot, the orchestra and audience again were in danger. "An air raid siren went off in the middle of a Beethoven concerto that I was conducting from the piano," Bernstein said when he returned. "We got to the end of the first movement and this thing was wailing and I got up and said, 'Whoever has to leave, leave now,' and no one left and I sat down and played what I thought would be my swan song. We came into a kinship, a family relationship, the orchestra members with each other and with me." The orchestra had been founded as the Palestine Symphony 12 years earlier by Bronislaw Huberman, a Polish-born, German-educated concert violinist living in Vienna. In 1935, all Jewish musicians in Germany were dismissed from their jobs by the Nazi government. Huberman recruited 75 instrumentalists from throughout Europe to immigrate to Palestine with him to form a new Jewish orchestra. Arturo Toscanini conducted the Palestine Symphony's first concert, in Tel Aviv on Dec. 26, 1936. The Italian maestro refused any payment, declaring, "I am doing this for humanity." Zeev Steinberg, now 79, joined the orchestra as a violist in 1942. His parents were physicians who had fled Germany in 1935. "I had to work as a taxicab driver at the same time," he recalls, "because what the orchestra paid in those days was bupkis." The Palestine Symphony changed its name to the Israel Philharmonic Orchestra when the state came into being in 1948. Until 1954, when the Mann Auditorium opened, it played in the 900-seat Ohel Shem auditorium in Tel Aviv, where each concert had to be repeated eight times because the demand for tickets was so great. Isaac Stern, a frequent guest violin soloist, hated the Ohel Shem acoustics and called it "the hall of shame." Today the orchestra has grown to 115 players, including a handful from the United States, four non-Jews and approximately 40 Russian emigres. It has toured the world, even giving concerts in Germany, and has earned international respect. Non-Jewish conductors and guest soloists such as Riccardo Muti, Wolfgang Sawallisch, Yo Yo Ma, Andre Watts, Midori and Luciano Pavarotti have appeared with the orchestra. Many of the orchestra's memorable moments have coincided with Israel's wars. Bernstein conducted on Mount Scopus before Israeli troops and hospital patients, many recently wounded, at the end of the Six-Day War in June 1967. Stern played the Mendelssohn Violin Concerto and Bernstein led "Hatikvah" and Gustav Mahler's "Resurrection Symphony." One week earlier, when that war broke out, opera stars Richard Tucker and Roberta Peters and conductor Erich Leinsdorf were in the middle of a series of concerts with the philharmonic. Leinsdorf fled without even notifying the orchestra. Stern remembers that the conductor was in such a hurry that he left his tuxedo in his dressing room. Tucker and Peters stayed on and sang. 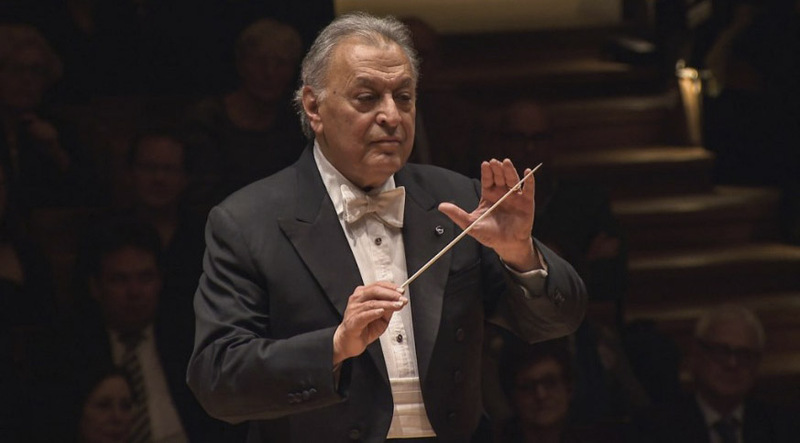 Zubin Mehta flew from New York to Israel to conduct during the Six-Day War and again during the Scud missile attacks of the Gulf War. He also conducted under a tent at the border during the invasion of Lebanon in 1982. Born in Bombay, he first came to Israel in 1961 to guest-conduct when both he and the orchestra were 25 years old. After he rehearsed Bruckner's Symphony No. 9, Steinberg recalls, "It was so beautiful that we said to each other, `Let's get this guy to come back.'" In his early years, Mehta was part of a kind of Brat Pack, along with Itzhak Perlman, Daniel Barenboim and Pinchas Zukerman. They socialized, gave concerts together and played pranks. When Barenboim married cellist Jacqueline DuPré in an Orthodox ceremony, he asked Mehta to be his best man. Knowing that a non-Jew was not permitted under the chuppah, Barenboim told Mehta: "Look, we won't tell the rabbi your name. With your skin color he'll assume you're a Yemenite Jew." Mehta developed a close relationship with the orchestra and with Israel. He is a Parsi Indian, a descendent of monotheists who fled religious discrimination in Persia. "Zubin's commitment to the country and to the philharmonic is something I've never heard of elsewhere," says bassist Gabriel Vole. "He knows all the first names of every musician as well as those of our wives, husbands and children. He's part of us." Mehta has conducted more than 1,600 performances with the orchestra and has led it on tours of America, Europe and Asia. In 1969 he was elected by the players as music director. Then, in 1981, the orchestra voted him "Music Director for Life." The alliance is not always carefree. Mehta is conscious of terrorist possibilities when the orchestra travels. "On many tours we had bomb threats," he says. "Once a first viola sat onstage with a pistol in his tuxedo pocket so he could shoot back in case we were attacked." In 1972, when 11 Israeli athletes were murdered at the Munich Olympics, Mehta and the orchestra were playing in Brazil. 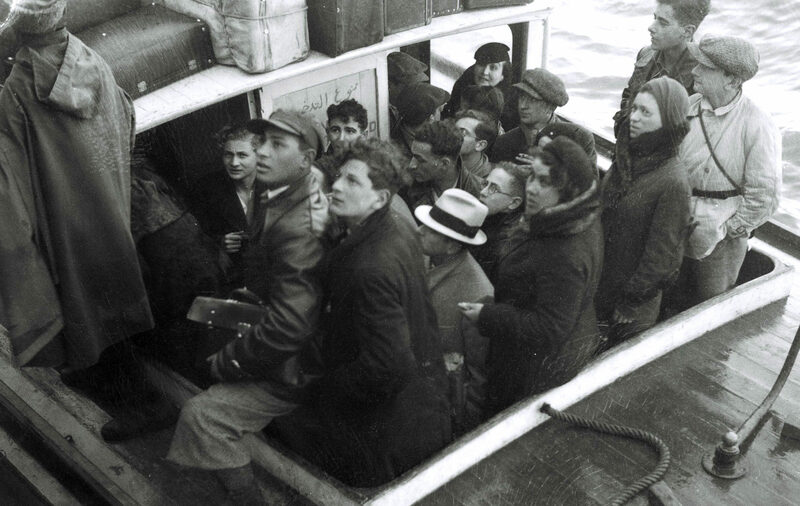 "We were 125 people very far from home and very upset," he recalls. "But the musicians played heroically. `Just try to touch us' — that's what they were saying." "It's a special orchestra," agrees Zeev Dorman, age 50, a bassoonist who joined the philharmonic right after he fought in the Six-Day War. "It reflects everything about our country. Maybe we're not the neatest, the most precise, but we're full of inspiration and imagination and creativity." When he speaks of imprecision, he doesn't mean that the orchestra plays wrong notes. Rather, the orchestra has a style in which instruments sometimes enter a fraction of a second after other instruments in their section, instead of making simultaneous entrances. There are listeners who prefer the thicker texture this creates. It's like the taste of Turkish coffee with its thick, robust blend. "A lot of orchestras just sound very, very beautiful," says violinist Perlman, "but the Israel Philharmonic is one of the few that have a distinctive sound." The late Philadelphia philanthropist Fredric R. Mann initiated the campaign to build a new concert hall in Tel Aviv in 1954 with a gift of $250,000. The Fredric R. Mann Auditorium has been the orchestra's home ever since. He also gave large gifts to musicians and orchestras, and was president of the America-Israel Cultural Foundation, which launched the careers of Israeli musicians such as Perlman, Barenboim, Zukerman, Shlomo Mintz, Yefim Bronfman, Gil Shaham and many more. Mann used his contacts to get bookings for them in the United States. The AICF has been a major financial contributor to the Israel Philharmonic, paid for music and art education for thousands of young Israelis and currently is providing scholarships for about two dozen Israeli students at Curtis, Juilliard and other American music schools. "In his own special blustery way, Freddy helped me and hundreds of other Jewish musicians," says violinist Stern, who grew up in San Francisco. The solo instrumentalists who have played most often with the Israel Philharmonic are Perlman with 329 appearances, followed by Stern with 228. Stern tells a story that sums up the best qualities of the orchestra: its versatility and flexibility under pressure. He gave a series of 12 concerts with the philharmonic, playing the Beethoven Violin Concerto in Tel Aviv, Haifa and Jerusalem until he was sick of it. When Stern complained, conductor Rafael Kubelik agreed to substitute the Brahms Violin Concerto for the last date. He confirmed that the orchestra had the sheet music. But someone forgot to tell the players. The first they knew of the switch was when they got ready to play and saw Brahms on their music stands. Stern says the concerto went wonderfully because the Israelis are at their best when they're in adverse circumstances. Israel Philharmonic to play Oct. 31 in S.F.